As part of the redesign of Carnegie.org, we were tasked to find the right balance between the serious tone of grant data with the journalistic narratives of the grantees’ work and biographies. 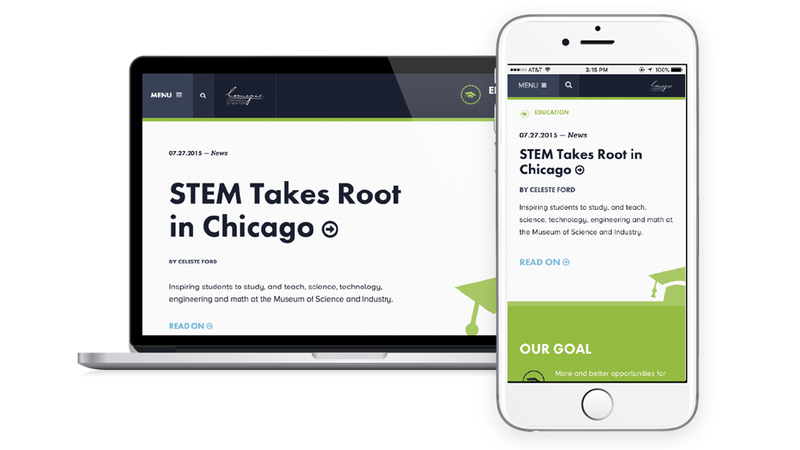 Carnegie Corporation's website (www.carnegie.org) was created after an extensive strategic planning process, where Blenderbox worked closely with the philanthropic foundation to completely re-think its web presence. It was essential that the new site capture the Corporation’s dynamism as it moves past its 100th year. The specific architecture of grants, grantees, programs, and other content types made django CMS our first choice. We were able to build models in the image of the organization, and style shared plugins in a way that worked for both Carnegie’s editorial team, and the overall design system. django CMS also proved to be the right choice when creating the navigation with the goal of focusing on specific program areas, while still maintaining a global navigation that covers all content. django CMS has been a solid solution for our client, as well as a flexible tool for our team to develop a wide array of customizable content types. As we continue to work with Carnegie and other foundations, we’re interested in pushing the boundaries on how we can build experiences that demonstrate a mission-driven content strategy with django CMS in new and innovative ways.